In this Newsletter we will take a closer look at Center Profile “Custom Fields” Tab and how you can use it to create custom questions that appear when the students log in/out or in the Visit Entry window. These questions are a perfect way to get additional feedback from the students when they log in or when they are entering the visit notes from the Visit Entry Window. To add a question, go to the Trac Navigation > Hover over the Search Glass > click on your Center Profile > click on the Prefs Tab > Custom Fields > select an available “Custom Visit Field” > enter the question, choices and where you want it to appear > then save. Access Option: Determines who can view the answers to the question. Here are a few examples of where the custom question can appear within your Trac system. In this week’s Newsletter we will be discussing how to customize your Trac System. We will talk about how to upload your Campus Logo and Name, edit the Main Menu, add your campus colors and customize Notices on the Main Menu for different Users of your Trac System. As System Administrators there are many ways that you can customize your Trac system and we are here to show you! 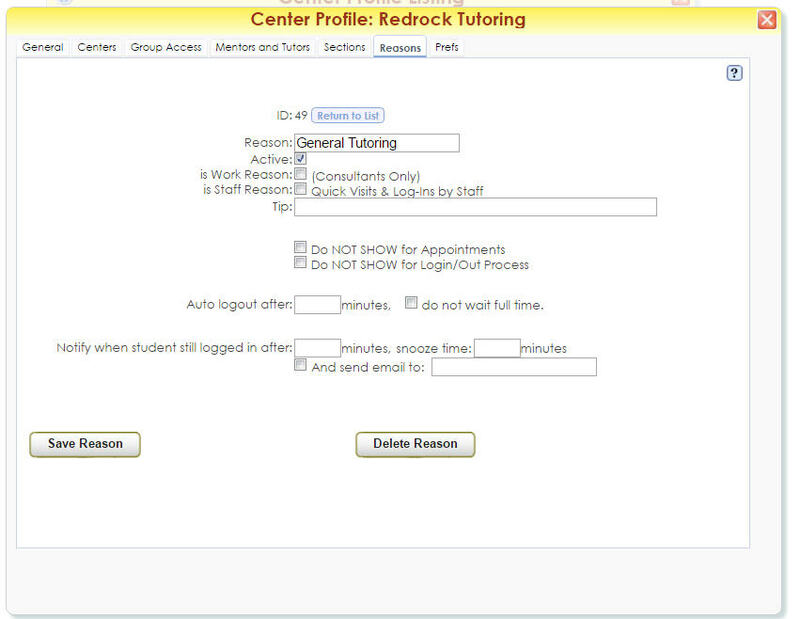 The first and easiest way to customize your Trac System is to upload your campus Logo. 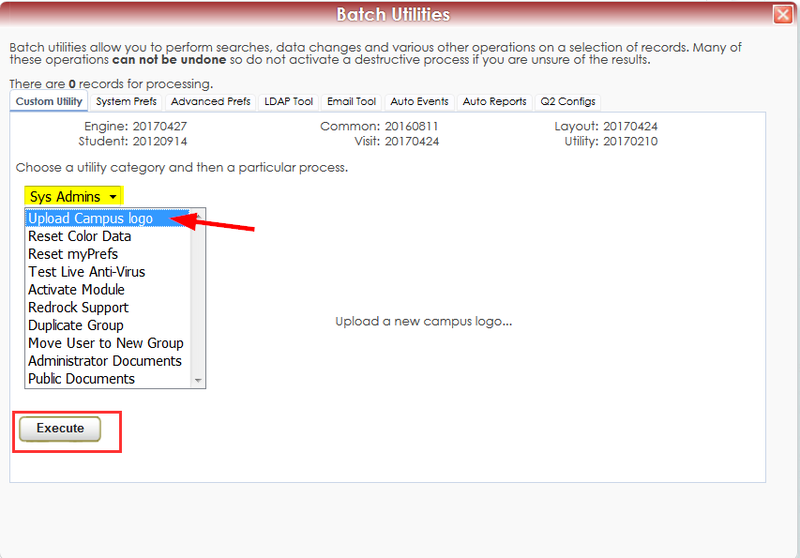 This can be done by going to the Trac Navigation -> TracMan Icon -> Utilities and Prefs -> Custom Utility tab -> Change the dropdown from “Standard” to “SysAdmin” -> Upload Campus Logo -> Execute. This will bring up a page asking you to find the logo, and upload it to your System. NOTE: Make sure that the height of the image does not exceed 75 pixels and the width does not exceed 350 pixels, for optimal appearance. After the Logo has been updated you can also add your Campus Name so it will appear beneath the Logo. To do this you will need to go to the Trac Navigation -> TracMan Icon -> Utilities and Prefs -> System Prefs tab -> Search for “Campus Name” -> Add Campus Name and click Save. The Campus Name will appear in the upper-right corner of the Trac System under the school logo. This is a global name for all users across all profiles. Typically the name of your College or University is entered here because it applies to all profiles. 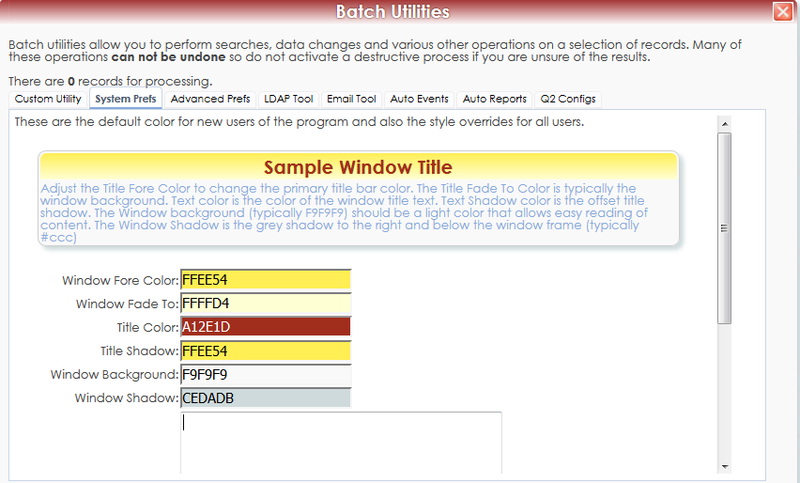 Want to customize the colors in your Trac system to match your School colors? To change this setting you will need to go to the Trac Navigation -> TracMan Icon -> Utilities and Prefs -> System Prefs tab -> Search for “campusColorData” -> Here you will be able to adjust the colors of the title bar, the title text, the window background, and the window drop shadow. You can use the preview box to test out your changes, and once you have decided on the color scheme just click “Save” to apply the changes to your system. Another great way to customize your Trac System is to edit the Main Menu with either a welcome message or instructions for your Users. Please keep in mind that in order to edit the Main Menu, you must be logged in as a System Administrator. Once logged in as a SysAdmin you will see a pencil icon on the lower left corner of the Main Menu. When you click on that icon it will open a window that allows you to create a custom message. Along with all of these options you can also add HTML coding to create a more custom Main Menu. This message that is edited on the Main Menu will appear for all administrators of the application, however if you would like to also create custom messages for the Students, Consultants, Faculty or Users. You can add Notices to this main menu that can only be viewed depending on the type of account that is used to log in. These Notices are Profile based, which means that whichever profile that they are created under they will be displayed for all the Centers in that profile. You can edit these Notices by going to the Trac Navigation-> Search Glass-> Center Profiles-> Select Profile-> Prefs tab-> Notices tab-> Edit the type of Notice you want to create-> Click Save. ticket. Enter any comments below. Recording Visits/Appointments is the bread and butter of the Trac system. While tracking the dates and times of your student visits is important we often ask for a little more information about these sessions in the form of Sections or Reasons. Most Trac systems are already using Sections and/or Reasons in a basic form but there are several options in regards to these parameters that can help you customize them to meet your data gathering needs. In this week we will explore these options and their functions. Tip – Store information about the reason here like a tooltip. Do NOT SHOW for Appointments – Does not show as an option for appointments, only for visits. Do NOT SHOW for Login/Out Process – Don’t show for real-time visits, only quick visits/batch visits entry. Auto logout after X minutes, do not wait full time – Automatically logs visits out if still logged in at the duration. Do not wait full time immediately logs the visit in and out with a fixed duration. 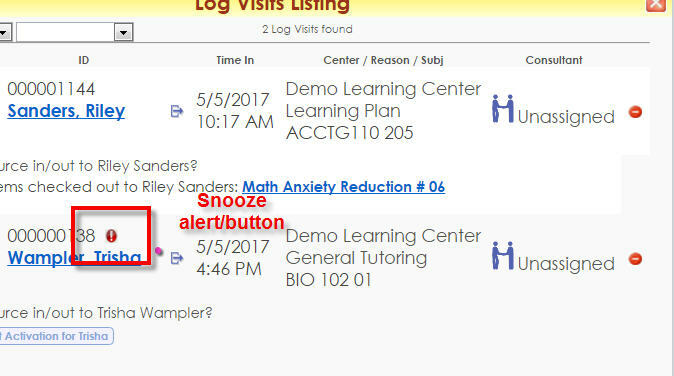 Notify when student still logged n after X minutes, snooze time Y minutes – Displays an alert on the Log Listing if the student is still logged in past the set time. Snooze removes the alert for the snooze duration. And send email to _ - Sends an email to notify someone of a still logged in visit. Using these options you can exercise more control over your Visits/Appointments. Whether it is automatically logging students out after a set time or making a Reason available only for Quick Visits the choice is up to you. Non Enrolled (Available to All) – Makes a section show as an option regardless of enrollment, generally used for options that aren’t specific course sections. Is Work Section (Available to Consultants Only) – Hides the section from students but allows consultants to be logged with it. Do Not Display on Search Availability – Hides the Section from the Search Availability screen. With knowledge of these advanced Section and Reason options you can more precisely gather your data and Trac workflow. 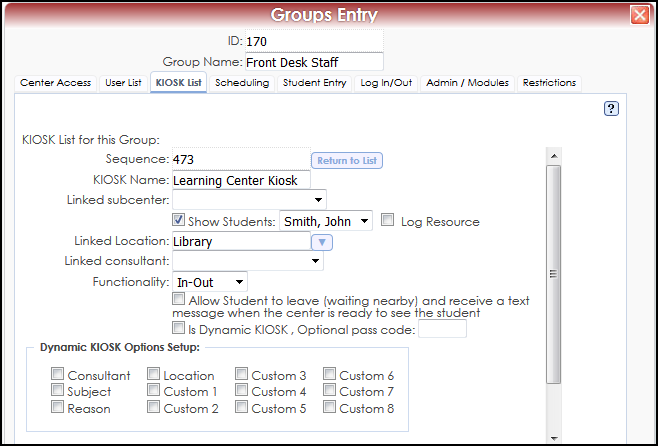 In this Newsletter we will take a closer look at Kiosk and how you can use the different options within the Kiosk settings to create a log in station Kiosks, or student sign in stations, can be setup at your Centers to facilitate an efficient login / logout process. If having Front Desk Staff sign students in is not a feasible option, Kiosks can be an effective alternative to recording accurate Visit data. The Kiosk Station does not have to be staffed in the conventional sense and does not need to be actively overseen by a staff member. Since a Kiosk account is primarily used by Students, access is very restricted. Students can sign into a Kiosk station when arriving and departing their visit. The Kiosk is not used for any other activity and as a result students cannot access any confidential information from the KIOSK mode. Kiosks are created within the Group Access Preferences. Any User assigned to the same Group as a Kiosk can switch to Kiosk mode. A User (this might be an administrator, coordinator, supervisor, front desk staff, student worker, etc.) can log into the student sign-in station with their own account, and then switch to Kiosk mode from the Trac Navigation Menu by clicking on the TracMan icon. Before we create a Kiosk, we must first make sure that the Group we are creating the Kiosk for has the appropriate preferences activated. 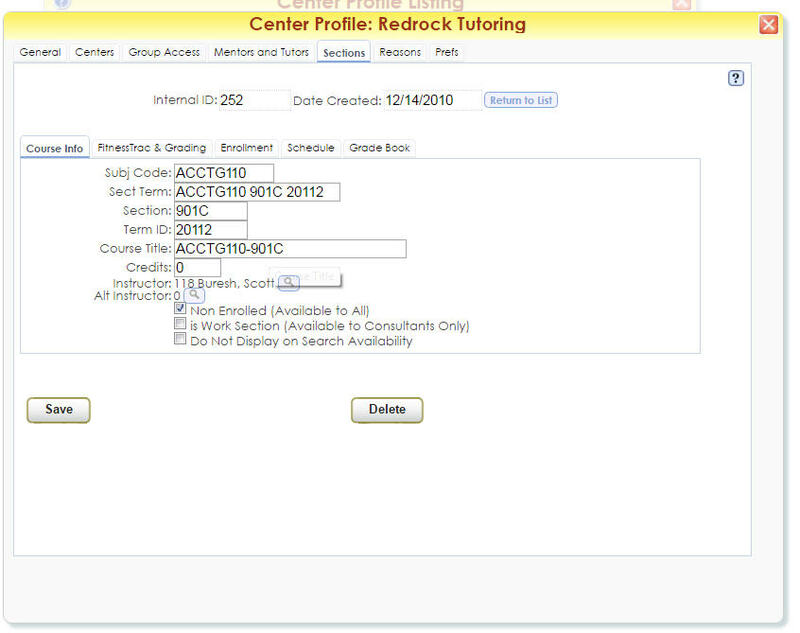 Navigate to your Trac Navigation > Search Glass > Center Profile > click on your Profile > Group Access Tab. Make sure that the first checkbox (Log Visits To) is activated for the Group in Selection (for this example, Front Desk Staff). This checkbox must first be activated in order for the preferences that we need to activate in the future to be functional. Now select the Group of your choice. Click on your Group’s name to open the preferences for that group. The first tab selected will be the Center Access Tab. Here we will need to add the appropriate subcenter(s) to the Log Visits To category. 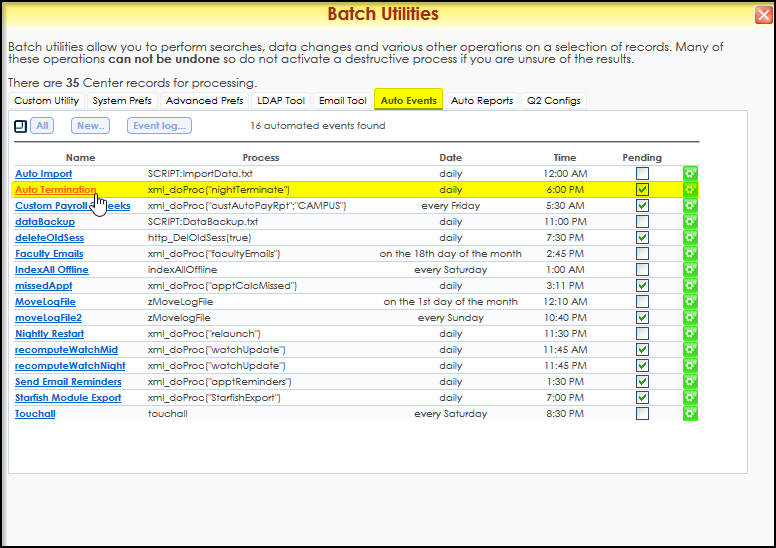 In the Log Visits To category, click on the blue dropdown arrow next to the all and clear buttons. Select the appropriate subcenter for your Kiosk, and save. Now that we’ve set the necessary preferences, we can create a Kiosk account. To do this, within your Group Entry Preferences, navigate to the Kiosk List tab for your selected Group. Here we can click on Create New to begin the process of creating a Kiosk. First type a name for your Kiosk in the KIOSK Name field. Once you've named your Kiosk, we will need to click Save KIOSK before we further modify its settings. After saving your KIOSK, click on your KIOSK name. 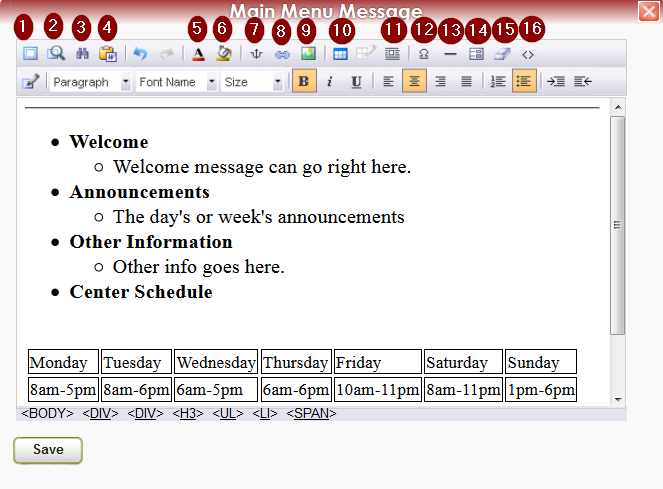 At this point, you have the option of Assigning the Kiosk to a specific Center through the Linked subcenter function. You can do this by clicking on the dropdown arrow next to the Linked subcenter field, and indicating the Center in the Assigned Center preference. Now Students that sign in through the Kiosk will always be signed in to the Assigned Center. Users that are assigned to the Group containing the Kiosk will then be able to log in to the designated computer using their credentials. Once they do, they can click on the Trac Man icon, and select Enter Kiosk. Once they have designated which Kiosk to Enter, the system will log the application in to that Kiosk account. 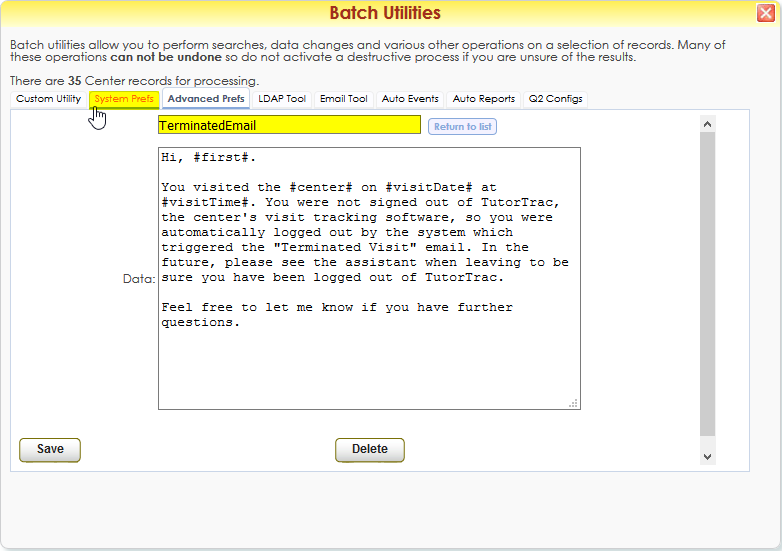 In this newsletter, we will discuss an important function of the Trac system called Auto Termination. The Auto Termination process has two functionalities, the first, is to log out any and all visits which remain on the log listing at the end of the night and set the end time of those visits to a duration you designate. The Second functionality, reviews the duration time of all visits logged for the day and if the visit time is greater than the time you have specified, the system will then adjust the duration of that visit to the time you have designated. As a SysAdmin- Go to the Magnifying Glass-> Choose your Profile -> Select the “Prefs” tab -> Click the “Log in/out” Tab. Scroll down the list of settings to the “Auto Terminate Visits Longer Than” Section to begin the configuration. The auto terminate visits setting is activated by entering a number of minutes in field one. Entering a number of minutes in field two, will assign all visits for the current day that have a duration greater than the number of minutes entered in field one, to the duration set in field two, when the Auto Termination process runs. Entering a number in the field one and setting field two to blank or zero will cause the visits to be deleted, if the student visit time exceeds the duration in field one. For example, if field one is set to 120 minutes and field two is set to either blank or zero – If a student’s visit time is greater than 120 minutes when the Auto Termination process runs, the visit will then be deleted from the system. Checking the check box labeled as three (Allow Terminate on Log Listing) This will place a terminate button on the log listing. Clicking this button will Automatically delete the visit from the Trac system if there is not a specified number of minutes in field four. 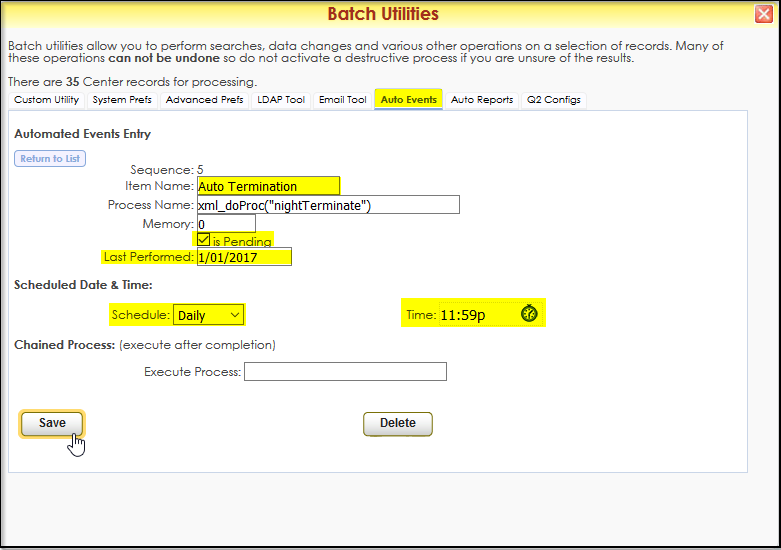 If there is a specified number of minutes in field four and the Auto Terminated button is clicked, the visit will automatically be log out and the duration will be set to the duration specified in field four. Field four is activated as its own setting if a number of minutes is entered in field four. When the Auto Termination process runs, it will log out any and all student visits which remain on the Log Listing. If the student does not log out or forgets to log out, this process will log the student out and set the students visit duration time to a time that you designate in field four. The Auto Termination Auto Event sets the time of day that the system will terminate all remaining visits on the log listing as well as adjust visit durations based on the settings set up in the center Profile Prefs. This Auto Event is typically ran each day after all of the centers have closed and no longer offering services. This Auto Event can only be managed by System Administrators of your Trac system. Click on the link for Auto Termination to View the Configuration. Check the Box “is Pending” to Activate. Last Preformed should be set to the previous days Date. For Example; if today’s date is 1/2/2017 set Last preformed date to 1/1/2017. Under the Schedule Date & Time – Schedule set to “Daily”. The Time should be set to a time after your center has closed and before midnight. Click save to complete the setup of the Auto Event. Note: Do not set the process time to midnight, rather set the time for 11:59 pm if needed. This Email can be enabled or disabled. To Disable the email, follow these steps: Utilities and Prefs> Advanced Prefs> In the Search Bar Search for “SendterminatedEmails”. Click the Preference and set to “no” to disable, and yes to make the Terminated emails active. With nearly a half a million NCAA student-athletes, tutoring and learning centers are experiencing more and more traffic from this group. Fewer than 2 percent of NCAA student-athletes go on to be professional athletes so student-athletes depend on academics to prepare them for life after college. On average, student athletes require strong time-management skills and some thoughtful planning with academic advisors. Trac Systems can help you track and support this special population of students! First and foremost, we need to set up your system to recognize student-athletes. 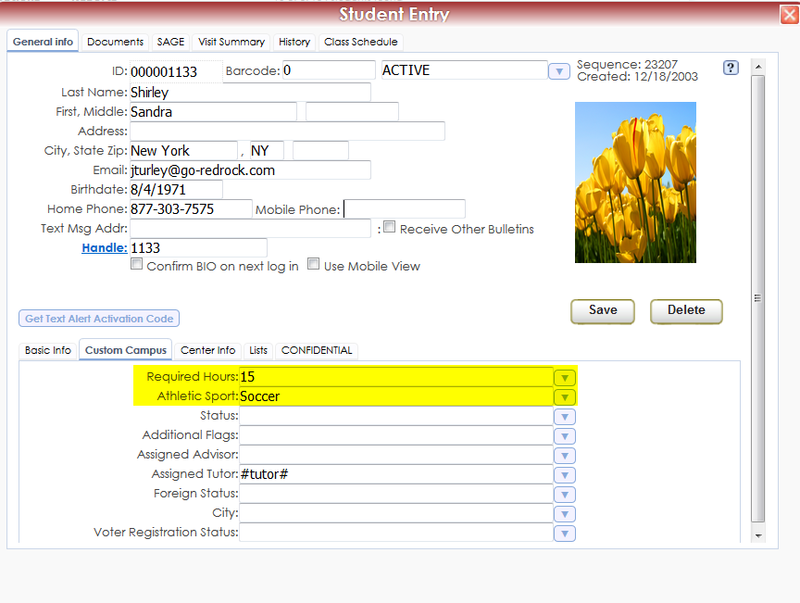 We will utilize one of the custom student fields, which can be imported from your SIS. With this info, we can create Athletic Student Lists. This data can feed into reports that can even be sent automatically to coaches. 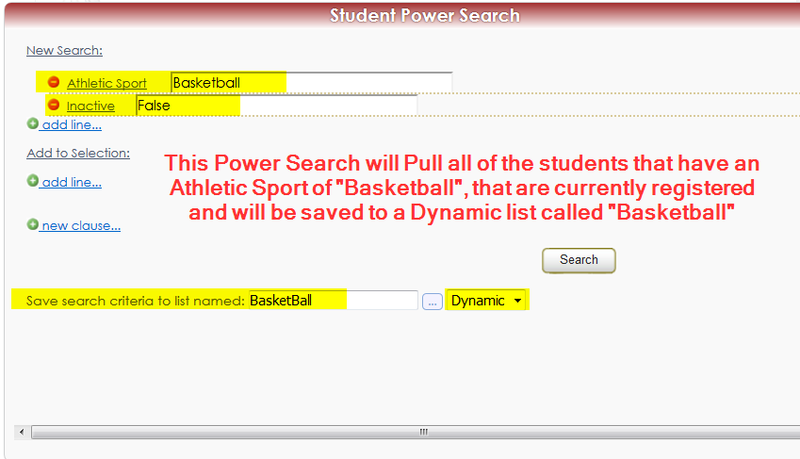 This will also allow other users the ability to quickly and easily identify a student as an athlete. Along with using the custom fields to track the Athletic Sport, you can also customize a field to keep track of the hours of tutoring/advising that your athletes are required to have. Now that this information is being tracked, we can easily identify a student as an Athlete which allows us the ability to isolate these students, add them to a list and run specific reports for those Athletes. These lists can be created by using the Power Search feature of the Trac System. 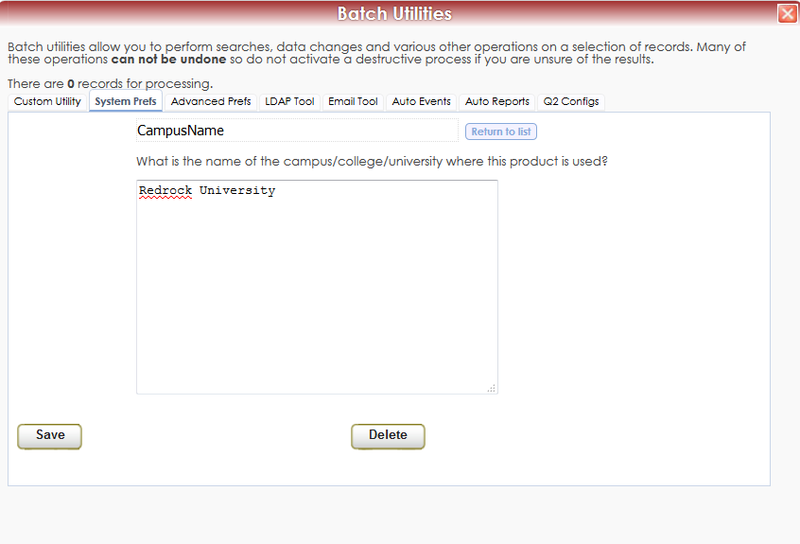 By utilizing the Power Search this allows us to set up specific criteria that can be saved as a dynamic list. A dynamic list will automatically get updated every time the import runs. Now that we have created these individual lists we can set up daily or weekly reports that can be sent to the coaches, regarding only their athletes, if you want that to occur. This nightly report allows Coaches to address behaviors or issues as soon as possible. Below we see an example of a report that the coach can receive. This will show only the students for their particular sport and will include visit information and any notes that were entered. This allows the coaches to be easily see which students are coming in for Tutoring/Advising, what they are working on, and session notes. These reports can be automated to send Daily, Weekly, or Monthly and can be sent directly to the coaches! This helps save time and make sure that everyone is getting notified as needed. 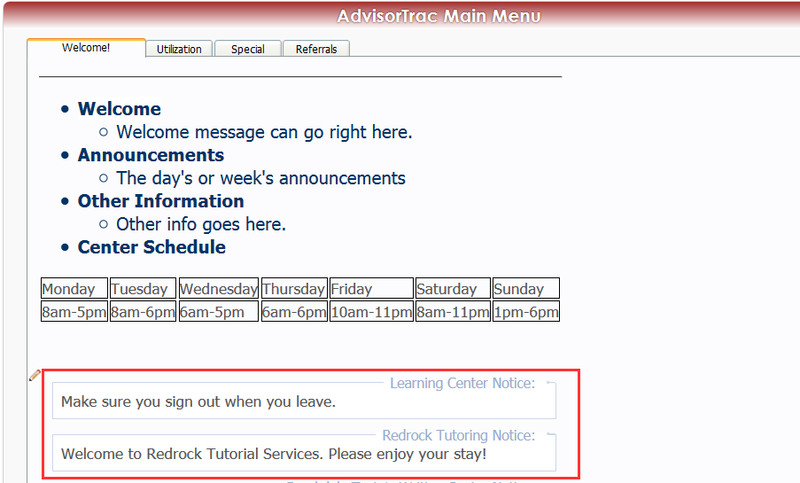 Instead of being logged in for a visit, it will show a custom message with that students total hours for the week and how that compares to their required study hours. Trac System is powerful and flexible for all your needs. Managing student-athletes visits and monitoring their progress is one way you can keep students on track for graduation!